A bathroom remodeling project can be as simple as changing out the faucets or adding a new light fixture. It can also mean creating your dream bathroom by tearing out everything down to the studs and starting over! Whatever your project involves, G.M. Roth offers some excellent reasons why remodeling your bathroom can be a good decision. 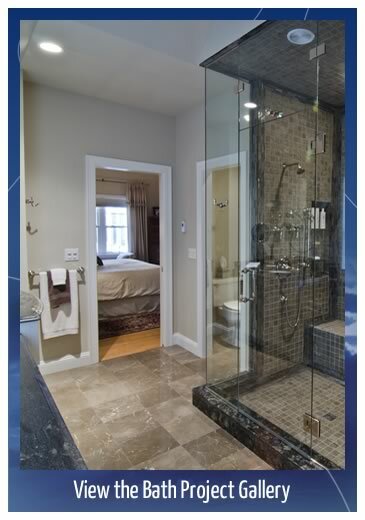 Perhaps the greatest bathroom remodeling benefit is the increase in your home’s value. While it would be wonderful to get every dollar back from your renovation project, Remodeling Magazine estimates that U.S. homeowners will get an average of 71 cents back from every dollar they spend on remodeling or updating their bathroom. So, not only will you get to enjoy your new bathroom, you’ll also recoup a majority of your investment when you sell your home. Potential buyers place great importance on a remodeled bathroom, so those homes tend to sell more quickly than houses with an older, outdated bathroom. Fixing safety problems is another reason to remodel your bathroom. Loose floor tiles are a potential hazard for you and your guests. In addition, loose wall tiles allow moisture to build up inside the walls and can quickly turn into a mold problem. A new bathroom can make your entire home feel new. 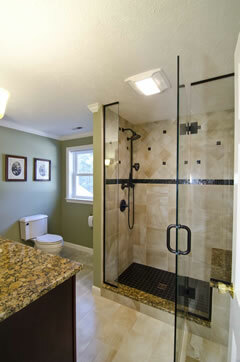 A bathroom renovation improves the look and feel of everything around it, especially when it’s a master bath. The entire master suite looks new when the bathroom is remodeled. If you’ve avoided inviting friends and family over because of your embarrassing bathroom, you may find your social calendar getting much busier after your project is finished. You’ll find any reason you can to entertain the group and show off your new bathroom!